Economy again, but this one was a surprise. Because I really wasn’t trying, honest. 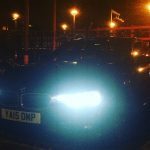 It was mainly through boredom driving through a 50mph zone on the M5 motorway that saw me flicking through the BMW’s trip computer. I stopped at the average mpg display, surprised: it was showing 77mpg. 77mpg! Honestly, I wasn’t trying. But if I can accidentally do that, I thought, what happens if I continue this relaxed driving? So, when the roadworks cleared, I cruised for the next 10 miles. Not going overly slowly, but sticking to around 55-60mph, ducking in and out of the trucks, smoothing progress as much as I could. At Strensham services, I took stock. Total journey was just under 50 miles. I’d been in economy mode for, ooh, about 20% of that. Overall mpg? Check this out. Yes, 82.8mpg. 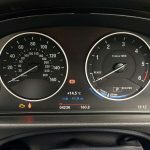 Way above this 320d ED Plus auto’s official figure of 68.9mpg – and far in excess of the usual 10% correction figure we generally advise people take off their fuel computer figure to allow for tolerances and speedo error. With no special tricks and no hard-to-use techniques, I smashed the government figure on a sunny M5 early one Friday morning. Which has now got me thinking – if I can do that partly without trying, what can it hit if I really do go into economy mode? It’s better than pretty good. It’s exceptional. Take one day last week: I cruised down to the office with the trip computer zeroed and, 100 miles of motorway later, I clicked on the magic number: 72mpg. Better than official combined, that, even if the likely optimism of the computer wouldn’t quite have achieved this. A few weeks later, I checked again. Another reset, another cruise down the M6 and M1. Result? 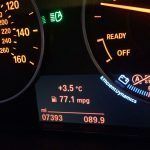 A glittering 77.1mpg – and, even allowing for the likely few percent optimism of the computer, this was more than likely better than average. See – it can be done! I wasn’t suffering for it either. The climate control was on. I wasn’t driving ultra-slowly. I wasn’t fit to burst by the end of the trip. 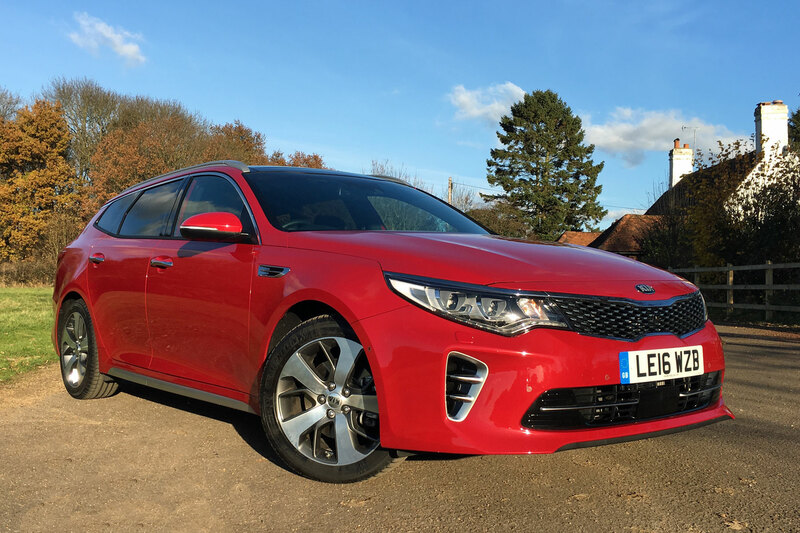 Simply driving gently and enjoying all that’s nice about this rear-drive saloon that can also do 0-62mph in 7.9 seconds and quickly raise a smile on a back road. Why wouldn’t you? 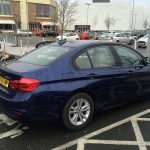 Is the 320d ED all about economy then? 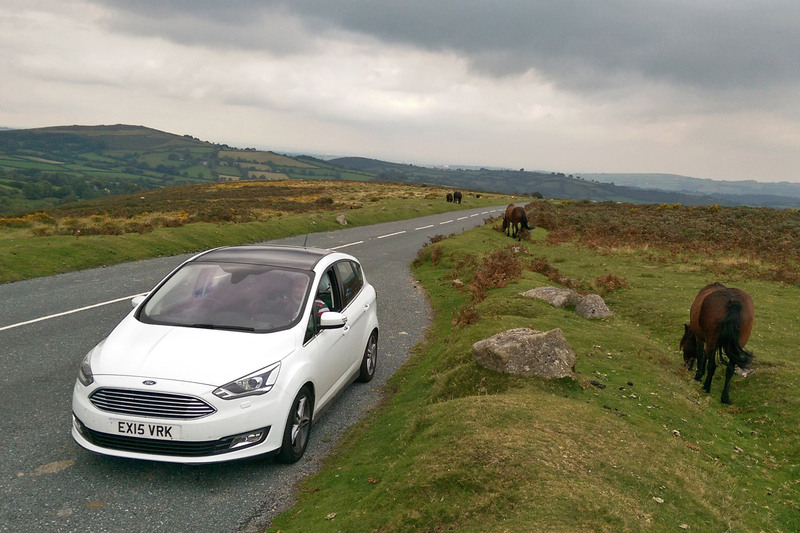 I had a few days in a Ford Focus recently. 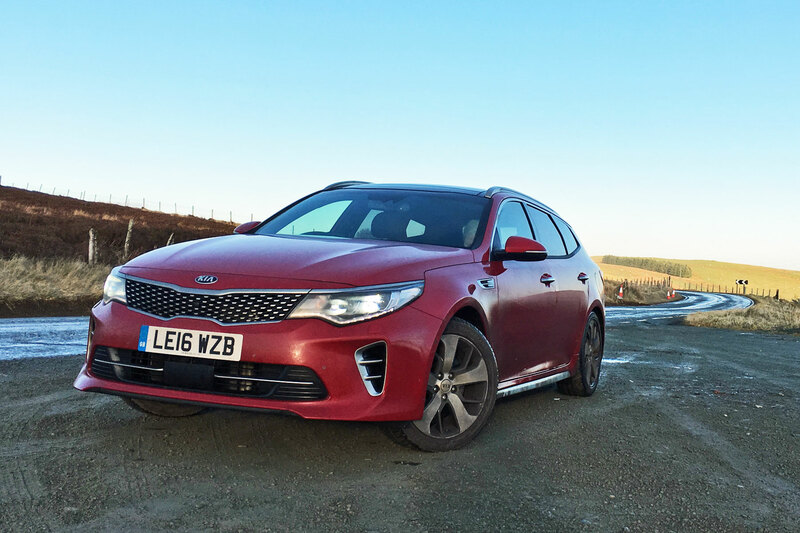 Great car, although I’m not sure how ‘eco’ the Ecoboost engine is – 70mpg means I’m disappointed by 40mpg, particularly when it should be doing 60+mpg. Anyhoo, the Focus is a great car, with a chassis oozing ability and composure. I enjoyed it a lot. 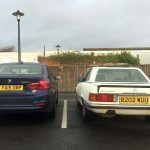 Then got back in the BMW and re-appreciated its feel-good driving position, tight steering, well-balanced chassis and, most of all, the sophisticated absorbency of the optional adaptive dampers. 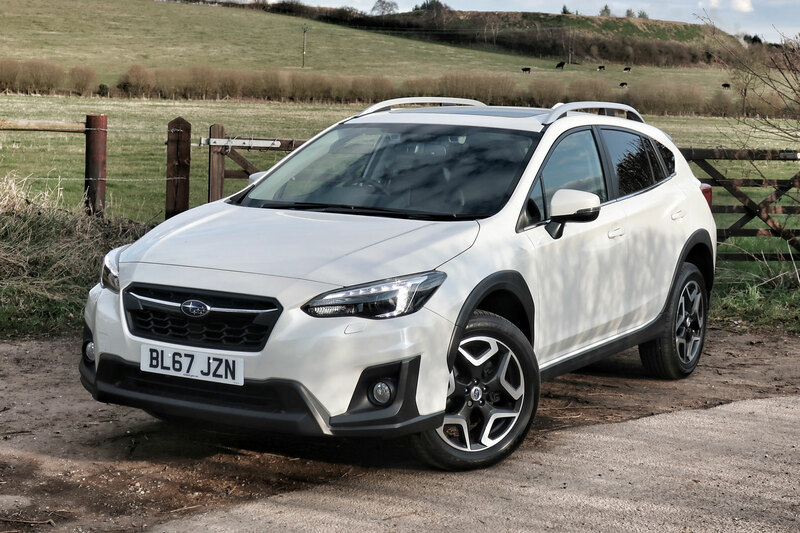 Like the Focus, it’s firm – but there’s also compliance and cushioning there, with highly sophisticated body control that’s beyond what passive dampers could achieve, particularly on roads with complex surfaces. It’s something you appreciate day-to-day too, not just when you’re going quickly: in many ways, rubbish city centre roads are as challenging as empty Welsh B-roads when it comes to body control and ride quality. Wondering whether to tick the box on the configurator? Wonder no more: do it. You’ll feel the benefits each and every time you turn a wheel. 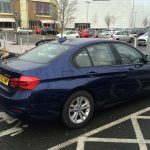 7,000 miles in and the ‘eco special’ BMW 320d ED Plus is going just fine. Not that I’ve covered all of those miles since taking delivery: I actually drove this car back from the launch in Spain before it was even assigned to me. Then another MR team member drove it to Frankfurt (another thousand-odd miles). Yes, it’s been a busy machine alright. 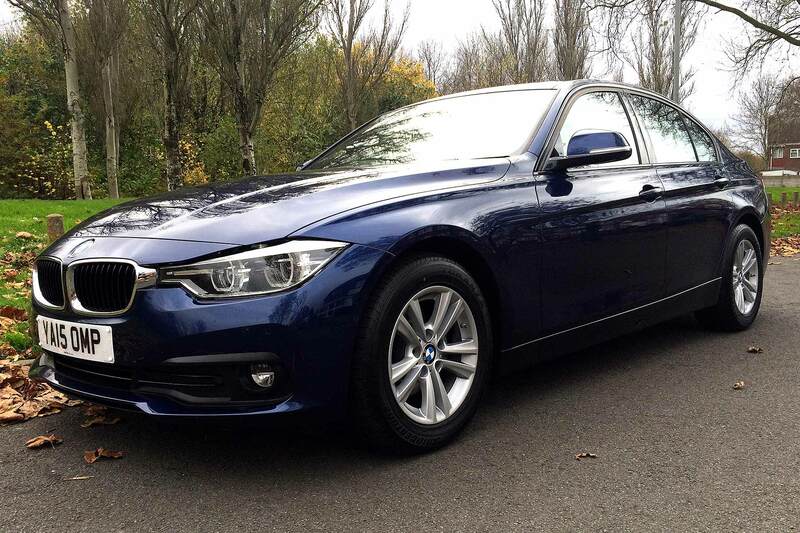 Our 320d ED Plus is resplendent in Mediterranean Blue paint: yours for £645. Now it’s settling down into a life on the M6, M1, M40, M25 and many other fine British motorways and A-roads. 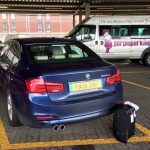 Doing what so many 3 Series do: 125-mile trips to the office and to meetings before turning round and doing exactly the same back home again. Such use means you get to know cars intimately. 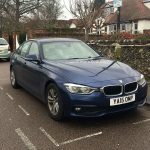 This is the first time I’ve had a 3 Series as a long-termer, but I’ve been driving them for years, most commonly in fleet car dream spec. 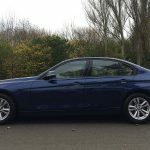 As it’s partly the improvements that BMW’s made for the 2016 model year that we’re testing, I thought I’d ring the ways it’s been improved over before. 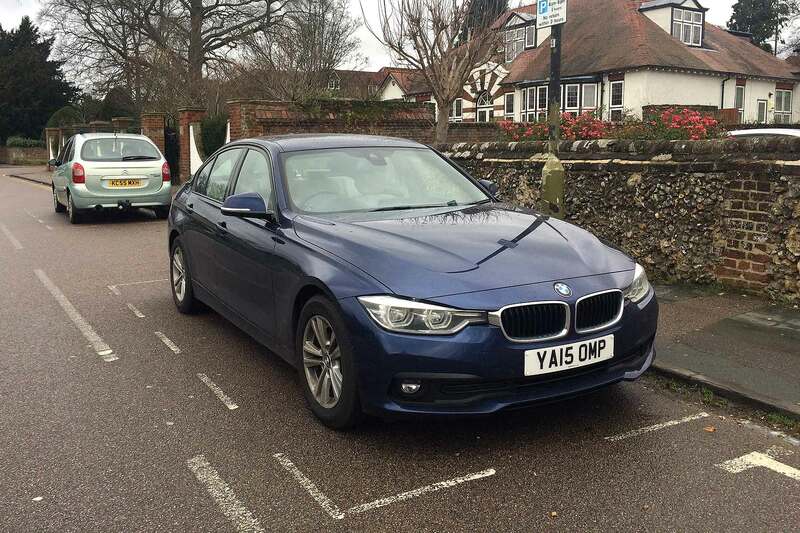 How is the 2015 BMW 320d ED Plus better than old ones? The most obvious improvement is engine refinement. This new modular 2.0-litre four-cylinder turbodiesel (codename B47) is a significant improvement over the old N47 unit here. Before, you knew you were in a diesel with a BMW 2.0-litre. They were a bit more gruff, vocal and gravelly than you’d perhaps expect in a premium car. Not anymore with this smooth, quiet-free-spinning unit. Noise levels are down significantly and it’s now an engine you’ll happily rev or hold a gear in using the eight-speed auto’s paddleshifters. Before, you usually preferred the torquey shove and lower noise levels of an upshift. In fact, the only time it’s oddly vocal is with cold starts – near-freezing temperatures and below. 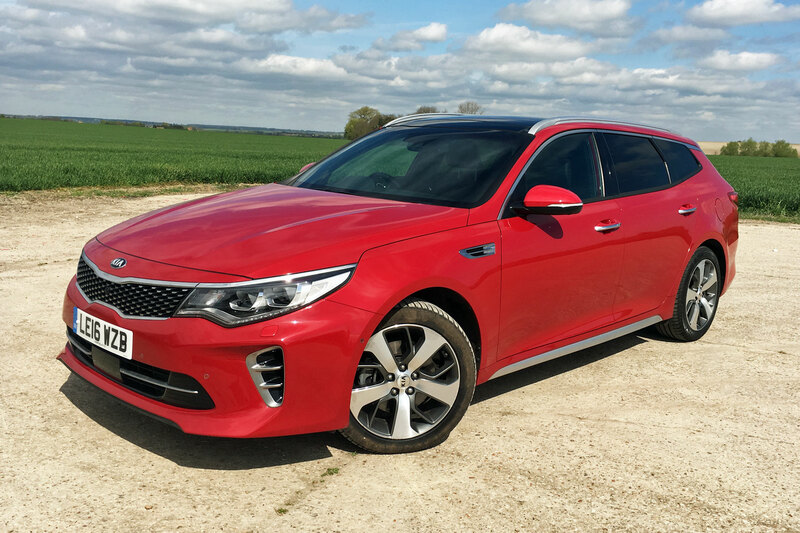 There, for a few minutes, there’s a sometimes eye-opening amount of clatter from the top end: a metallic rattle like an old British sportscar with worn tappets. I don’t worry too much – with a bit of heat, it soon quietens down. 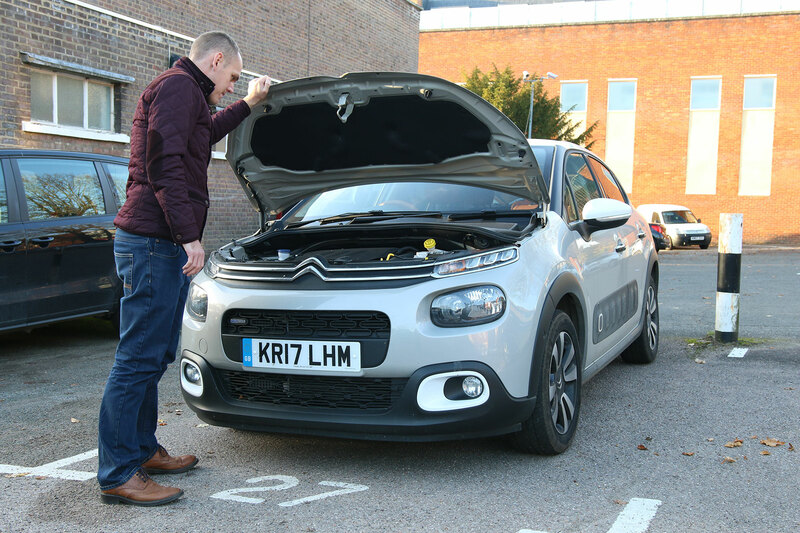 Other improvements include the now full LED HID lights, which replace the old Xenon option. They’re a virtual must-have: supremely bright and crisp, it really is like driving along with your own daylight in front of you. Handling is that bit crisper thanks to tweaked settings and hardware, which I don’t get to enjoy all that much on my usual commute, but which makes traffic diversions that bit more fun. Oh, and on that, iDrive’s RTTI traffic avoidance system is brilliant. Quick to act, it’s sent me on some genius diversions to ensure my ETA is barely affected no matter how ‘red’ the traffic on my normal route. It’s virtually invaluable. I say 60mpg: in honesty, rushing about on all these diversion routes means it’s dropped. Call it a regular tank-to-tank 56-57mpg. 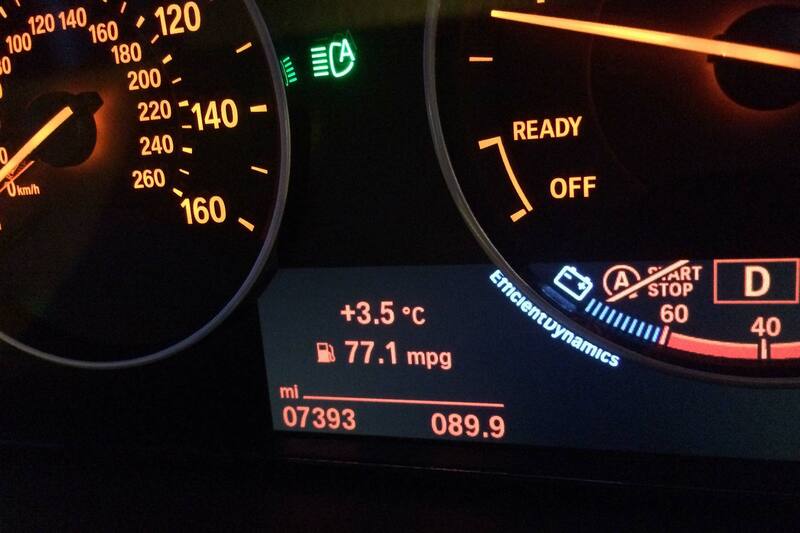 Hardly a disaster, albeit some way off the claimed 70.6mpg still. The weather hasn’t helped: lots of rain doesn’t help eco driving. I’m also aware of the occasional chatter of the brake drying function (it touches brake pads to discs every 15 seconds or so, to clear off the water and make the brakes act faster in the wet). Wonder if this has a slight effect on economy? With the new year and hopefully more normal commutes to the office, I’ll see if order can be restored. If I can’t nudge into the 70mpgs over a representative week’s commuting, I’ll be disappointed. 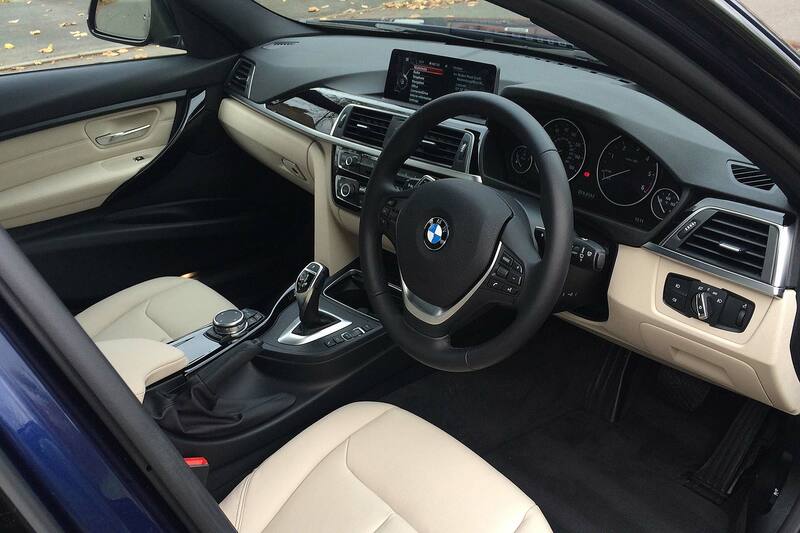 The BMW 3 Series’ 2015 facelift is all but impossible to distinguish on paper. 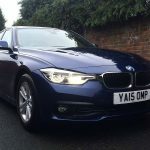 Trust us though, YA 15 OMP really is the latest generation 3 Series, complete with fancy new headlights, more sculpted front bumper and, er, chrome bits for the electric window switches. BMW didn’t need to do much though. It was already the class leader. 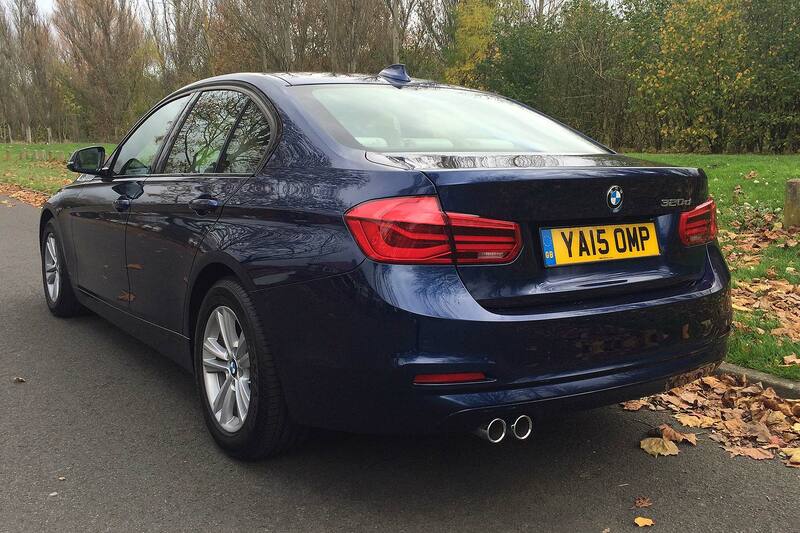 The Jaguar XE couldn’t beat it, the new Audi A4 hasn’t beat it; the 3 Series has it sewn up. With the mid-life revision, BMW has honed it, taken the edge off the ride, sharpened the handling and perfected something already superb. What model are we running? 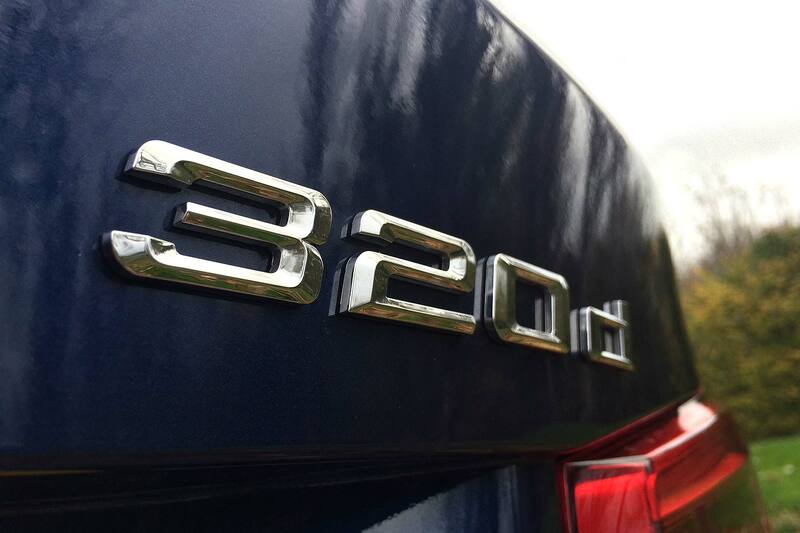 Our long-termer is the greenest model you can buy, if not its ultimate fuel-saving guise: the 320d ED Plus. You can get this in sub-100g/km CO2 guise, but only if you choose an auto and only if you take the airstream-like 16-inch wheels (with eco rubber). 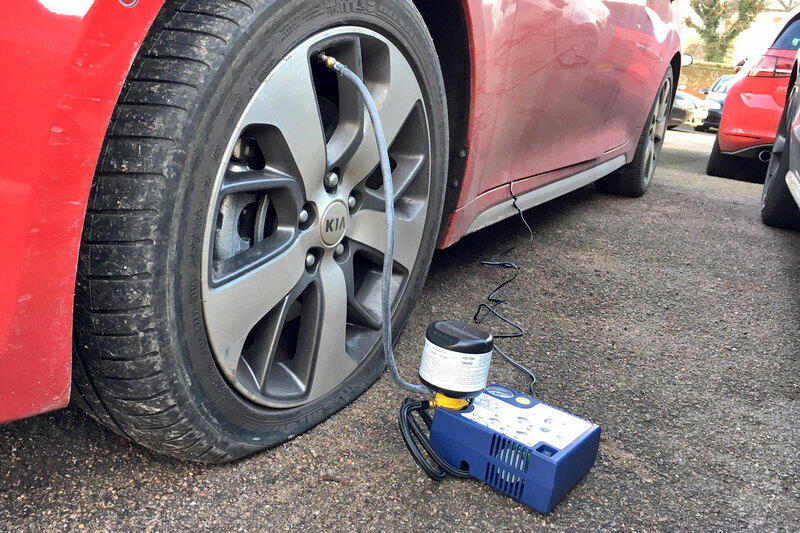 We had the auto, but not the slippery wheels: a no-cost option are the prettier rims on our long-termer, with sportier tyres. Given the meagre 5g/km penalty, it’s the right choice. Then it gets slightly confusing. As well as the 320d ED Plus, you can also now get a 320d ED Sport, which emits 108g/km CO2 and averages 68.9mpg (the same as our ‘Plus’). 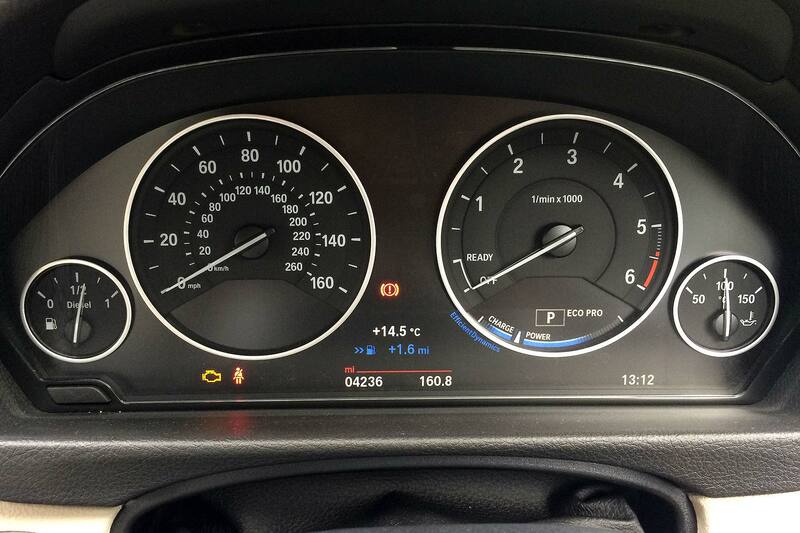 But you can also get a 320d Sport, which emits… 111g/km and averages 67.3mpg. 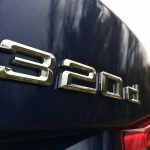 A 320d ED Sport is £32,285; a 320d Sport is 31,385. 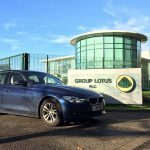 And with the regular car you get 190hp instead of 163hp, and a half-second faster 0-62mph time… if you’re going green, surely you’d stick with the £30,485 320d ED Plus? 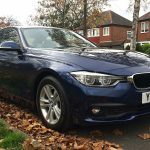 Or, get 190hp and still-decent economy AND a sub-£30k price tag with the £29,785 320d SE upon which the 320d ED Plus is based? 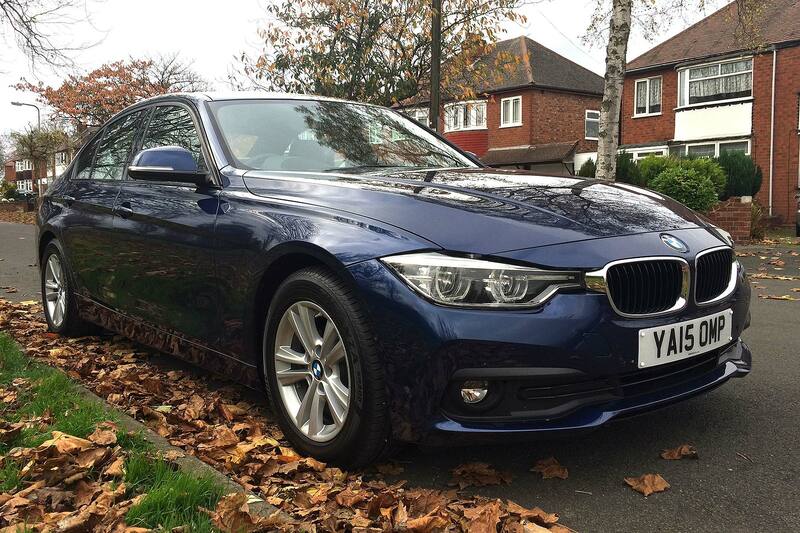 We want to find out how economical a BMW 320d is in the real world. BMW sells tens of thousands, on the promise of low tax and high economy, seemingly not at the expense of performance or rear-wheel drive engagement. Sounds like black magic but is it actually a blatant lie? 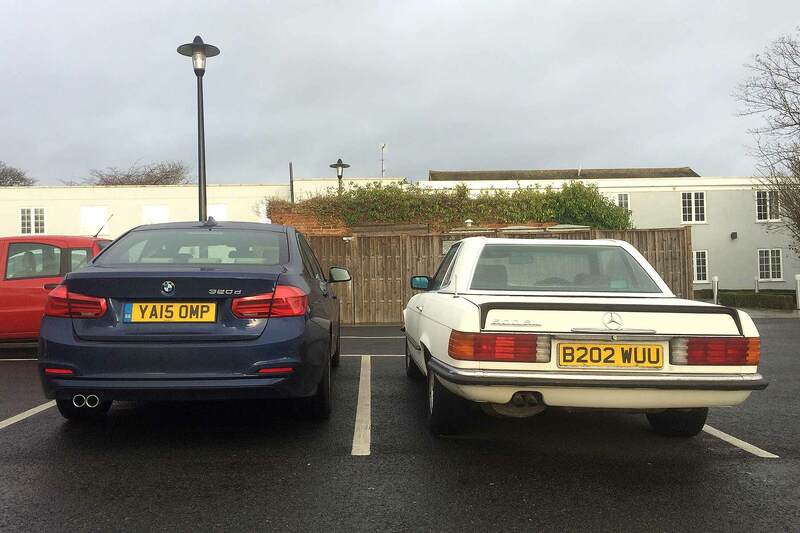 We also want to see if living with a BMW is still premium and classy enough. 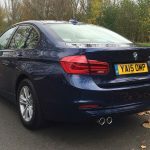 BMW sells umpteen more 3 Series than Ford does Mondeo, yet it’s the Ford that’s perceived as the volume car and the BMW as the exclusive premium machine. Does reality still compare? Press cars contain lots of equipment to help writers tell readers what the various options are like. 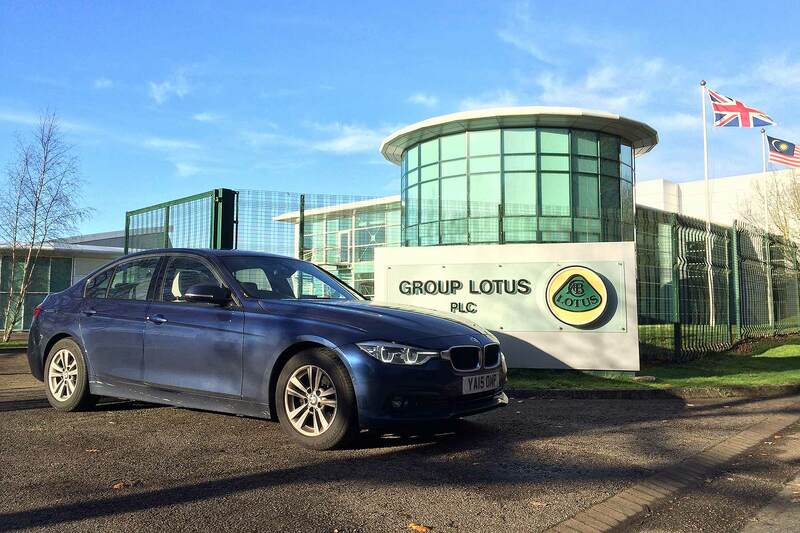 Which is how our £30,485 long-term test car turns into one costing £40,780. 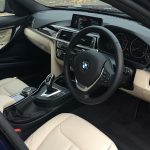 Must-haves are the eight-speed Sport automatic transmission (£1,690), BMW Professional sat nav (£900 – yes, nav is standard on all new BMWs now, but only the Pro system gives the online features we’re going to test so fully), Adaptive M Sport suspension (£750) and interior comfort package (£695 – it adds split-fold rear seats, more stowage cubbies and the lovely Extended Interior Light Package). 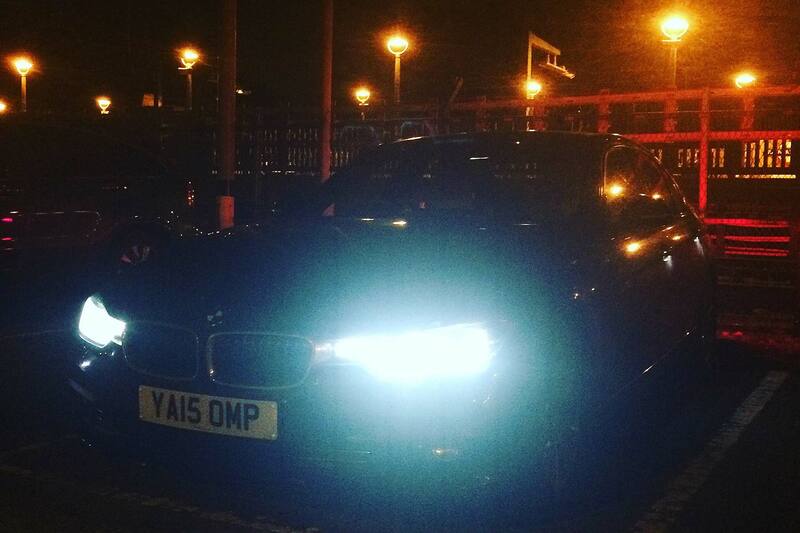 Nice-to-haves is the Visibility package (£850) that includes BMW’s brilliant LED headlights, Enhanced Bluetooth telephone (£350) and Internet (£95 – bargain). Indulgences we love? Anthracite headlining (£215), Head-up Display (£825) and speed limit display (£220); the rest is fancy but not essential (and surely some o fit should be standard – £330 reverse assist camera, anyone?). Audi has recently released the all-new A4, and what an impressive car it is. 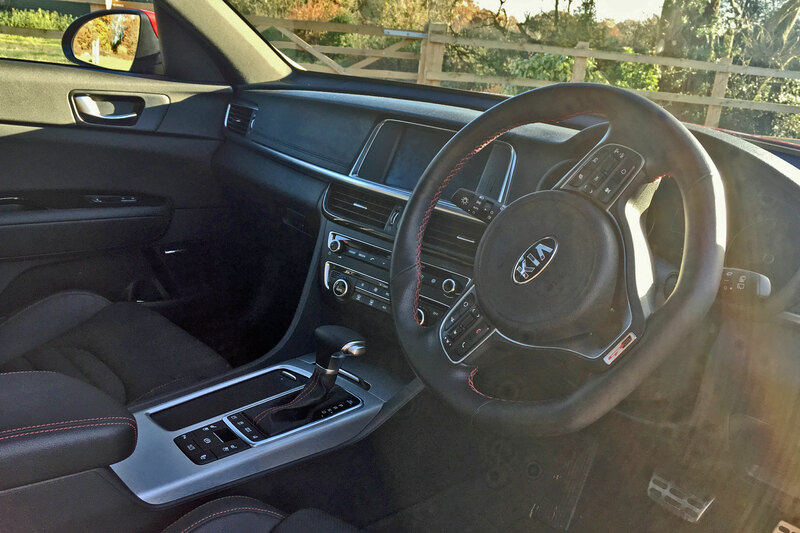 Extremely refined, the interior’s a step-on in terms of quality, appearance and roominess, while the tech it packs in is top-notch: some people will choose the A4 simply for the fact it gets Apple CarPlay and Android Auto as standard. The Mercedes-Benz C-Class is a very popular choice. 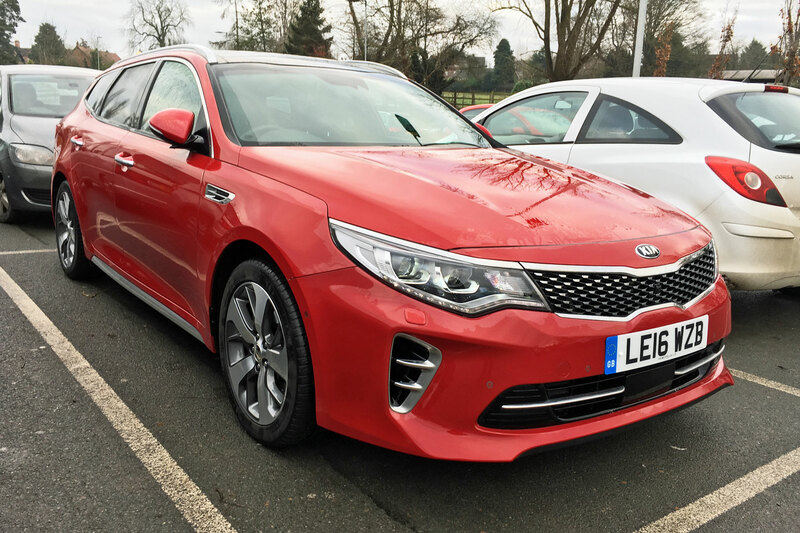 It’s a little spec sensitive; choose the wrong one and it can seems surprisingly average and uncouth for a supposed premium compact exec. But ticking boxes like the bargain-price air suspension restore the class you’d expect from a car that looks not unlike an S-Class. Other choices? Lexus’ hybrid IS 300h is a bit leftfield but pretty effective, certainly much more so than the so-disappointing Infiniti Q50. Coming in 2016 is the Alfa Giulia, which Italy promises will be a 3 Series beater (although we’ve heard that before) and, who knows, we may eventually get a new Volvo S60 to bring some of the XC90’s excellence to this sector. 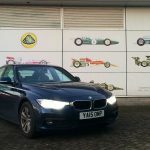 Motoring Research is running a BMW 320D ED Plus long-term test car, to see just how fuel-efficient BMW’s best selling model in the UK can be. Here, we’ll share views, thoughts and videos as we live with it. 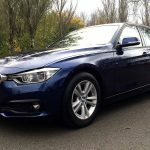 Keep coming back for live life with a BMW 3er. I have to confess, Ford’s MPV line-up does confuse me a little bit. Sure, there’s the Galaxy, that’s the big one. And then there’s the S-Max, which is the sporty one. The B-Max is for those who want a Fiesta with a bit more practicality, while the C-Max is essentially a slightly bigger Focus. But then there’s the Grand C-Max, with its seven seats, and let’s not even think about the Tourneo Custom and Connect (they’re essentially Transits with windows and seats, if you must know). But for a recent autumnal camping trip to Cornwall, that is precisely what I wanted. Two seats would have done, in fact, as the rear seats were folded down to cater for a week’s worth of camping kit. 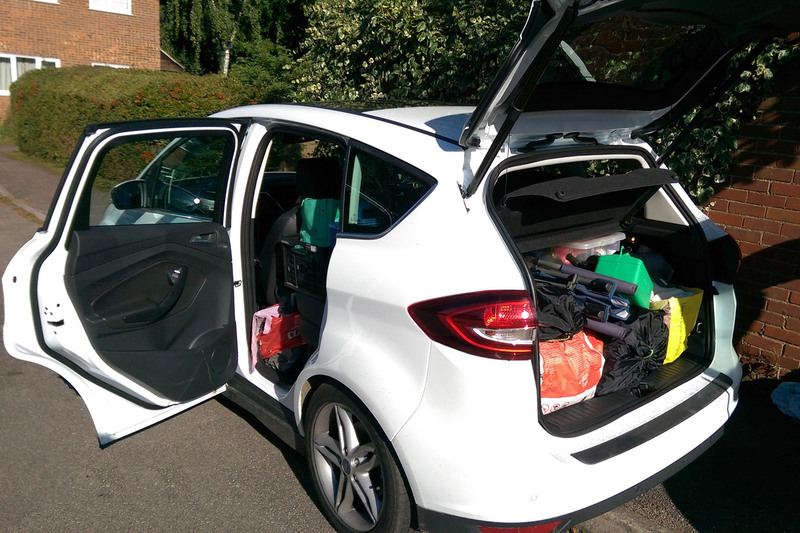 And that’s quite a lot, as it turns out – comfortably filling the C-Max’s 1,684 litres of boot space. When it’s full of gear, the extra weight is noticeable. 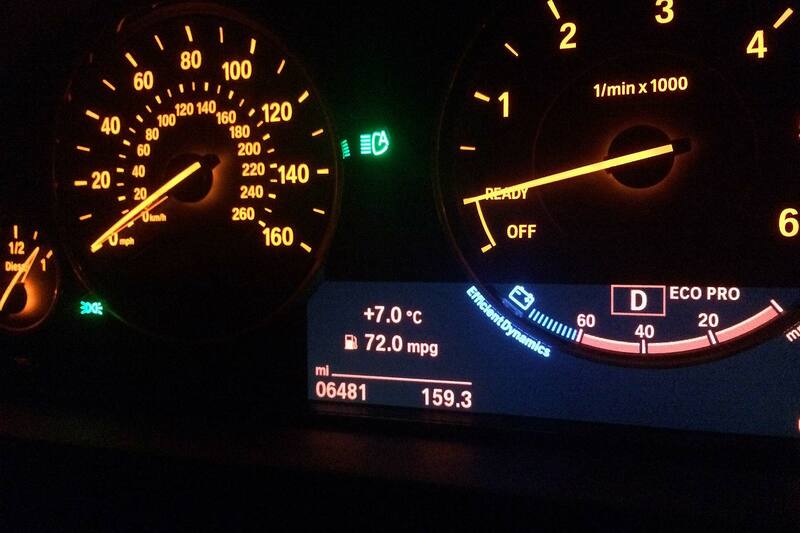 But even with the 1.5-litre turbodiesel, it’s fine at making progress along the M4. It’s only when negotiating Cornwall’s steep hills that I started to wish I was in the bigger 2.0-litre diesel. 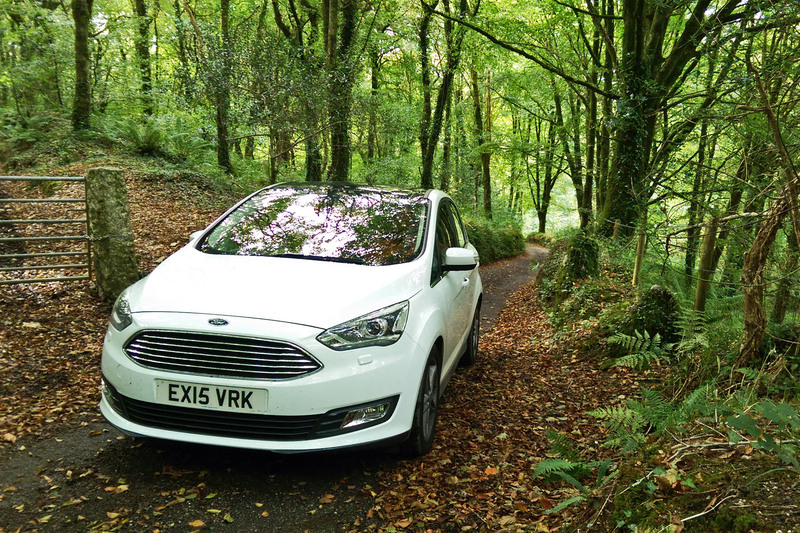 On Cornish lanes, the C-Max starts to feel a lot bigger than it actually is. At 1,828mm wide it’s only 5mm wider than a regular Focus but, even so, extra care is required on roads lined with Cornish hedgerows, full of rocks ready to jump out and scrape the C-Max’s gleaming frozen white paint. Overall, though, the C-Max proved to be the perfect companion for a week away. 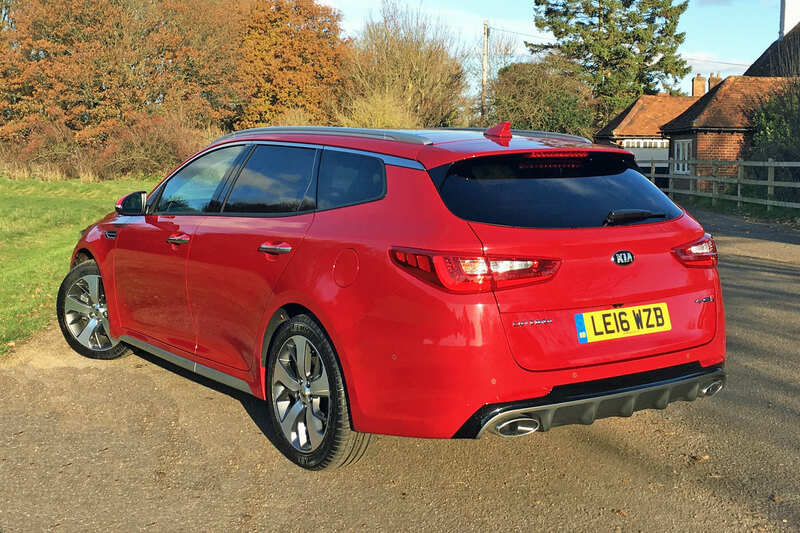 Manufacturers often go a bit lifestyle in their marketing for cars such as this, but it’s certainly capable of being loaded with kit and traipsing around challenging Cornish lanes.